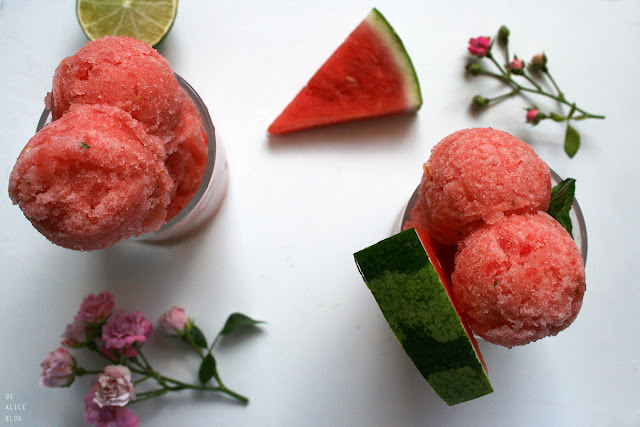 I had no idea there was such a thing as Watermelon Day, but apparently it was last Wednesday, August 3rd, and this recipe happens to be right in time to celebrate the watermelon! And who doesn't love fresh, juicy watermelon? The sweet flavour that explodes in your mouth with every bite... for me there's nothing that tastes more than summer than watermelon. Except perhaps for watermelon ice cream. 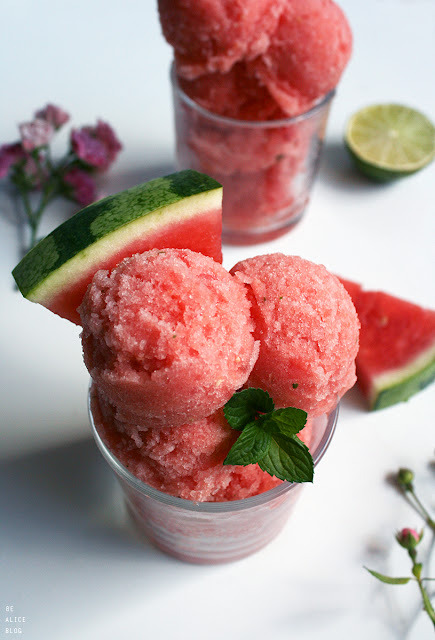 Today, I have a super refreshing and cooling watermelon mint sorbet for you! 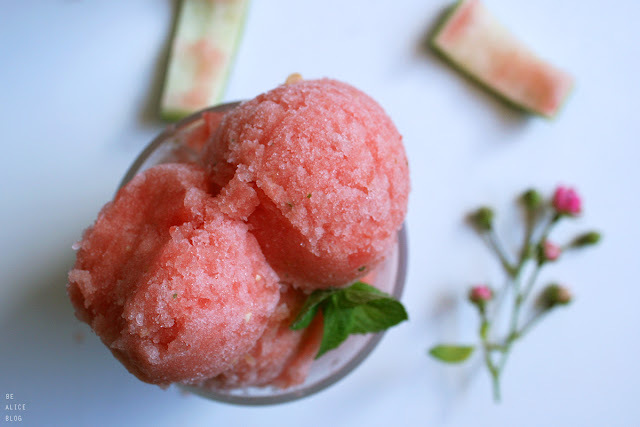 A marriage of the complimenting flavours of sweet watermelon and fresh mint. Enjoy! First, toss fresh mint leaves into a blender or food processor and blend until finely chopped. If you want some more tropical flavour, add the juice of half a lemon. Break your frozen banana into pieces and add to the blender or food processor. Process until creamy. 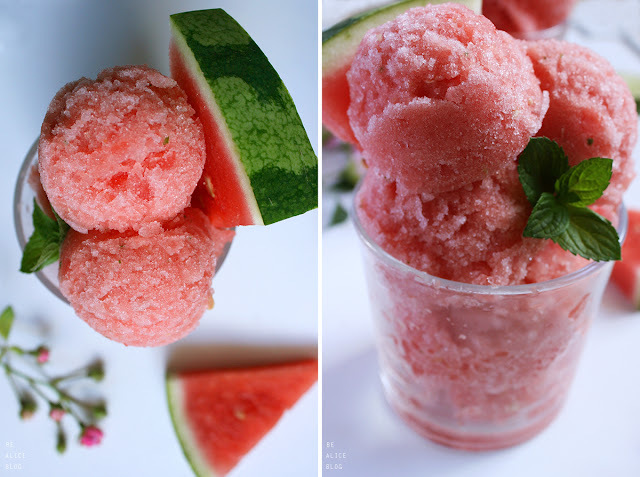 Lastly, gradually add your frozen watermelon cubes while processing. Blend until smooth. To make it creamier and turn it into a proper ice cream instead of a sorbet, you can simply add some coconut milk and pop the mixture into the freezer for a while. Serve in little dessert bowls or jars, garnish with fresh mint leaves. Note: This is part of my raw vegan Ice Cream Galore this summer!